Saturday morning came awfully early after heading to bed so late. The judge was Mr. Greg Briney. We started off with Sarah and VNR Lady Guinevere winning class 2 and Joshua with VNR Jamakin Miss placing second. In class 3, Naomi won with Diamond Q Reda. In class 5, Hannah and Diamond Q Wathina placed first. They went on to win Junior Champion Female too. In class 8, Samuel won with VNR Platinum Edition and Sarah and Queen Maxine placed second. In class 9, Julia won with VNR Dynamic Uno. Lydia and VNR Feelin’ Spooky won class 10, and Sarah followed them in second with Diamond Q Mariska. Julia and VNR Dynamic Uno went on to win Reserve Senior Champion Female. Hannah and Diamond Q Wathina won Reserve Grand Champion Female. 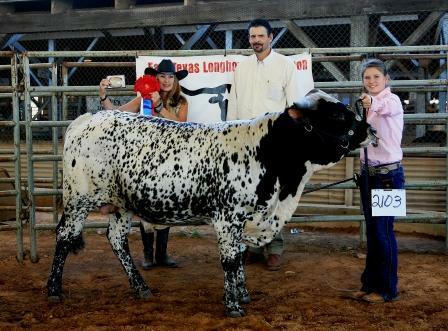 In the bull class 18, Joshua won with DQ Cold Steel. In class 19, Jacob and Rough Rider 30 placed second. Andrew showed DQ Paleface in class 21 and won. He later went on to win Grand Champion Bull as well. 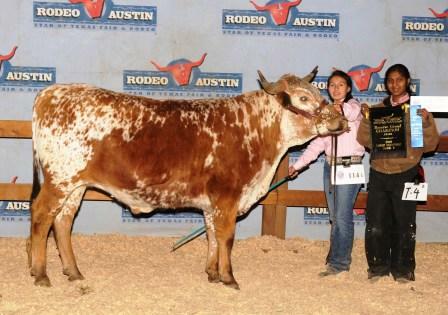 In the steer class 26, Miriam Grace placed second with VNR Gig ‘Em. In class 27, Samuel placed second with DDM Joker’s Wild. Naomi and LLL Jeddadiah placed first in class 28. In class 29, Miriam Grace and VNR Song’s Remix placed second and Julia and Wildcatter placed third. 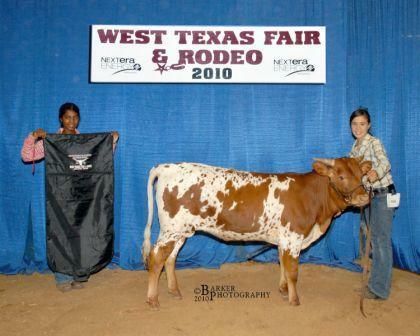 Naomi and LLL Jeddadiah went on to win Grand Champion Steer. It was a great show. The kids had the opportunity to see a lot of the North Texas kids that we usually only get to see at the World Show. 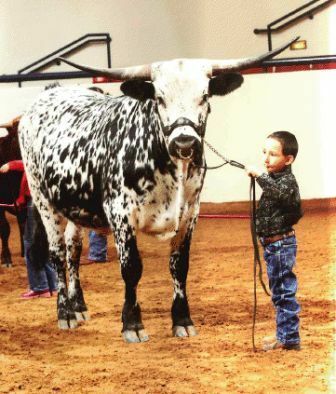 After the youth show, some of the kids showed animals for the Quary’s and Sanddollar Ranch during the Open Show. Before we headed home, we followed the Gilliam’s to Carla Jo Payne’s place to pick up the beautiful heifer Naomi won at Autobahn Judging Contest. We had a long drive home, but everyone made it safely. We made the long trek to Decatur without any problems. It was the smoothest trip we had in a long time! The judge for the points only show was Keith Mr. DuBose. We started off showing class 2 heifers, and Andrew placed first with VNR Venus and Joshua followed him with VNR Jamakin Miss. In class 3, Hannah placed first with VNR Carmen and Jacob placed second with VNR Smarty Pants. In class 4, Sarah with VNR Jamakin Beauty placed second. In class 8, Samuel showed VNR Platinum Edition and placed second. In class 9, Sarah won with VNR Lil’ Bit Naughty. In class 10, Sarah showed Diamond Q Mariska and placed first, and Lydia and VNR Feelin’ Spooky placed second. In class 11, Samuel won with VNR Ready or Not. Second placed went to Sarah with Diamond Q Perfecta, and third placed went to Hannah with VNR Mariana. Samuel and VNR Ready or Not won Senior Champion Female and Grand Champion Female. Andrew and Diamond Q Perfecta won Reserve Senior Champion Female and Reserve Grand Champion Female. In bull class 18, Joshua and DQ Cold Steel placed first. In class 19, Jacob and Rough Rider 30 placed second. 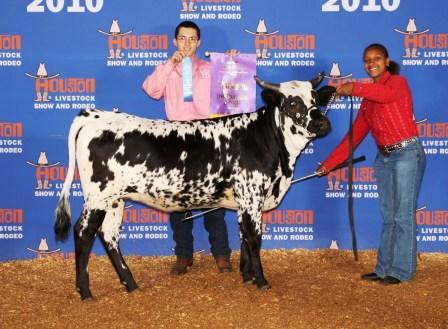 In class 21, Andrew and Diamond Q Paleface placed first, and went on to win Grand Champion Bull. In class 26 steers, Miriam Grace and VNR Gig ‘Em placed second. In class 27, Lydia and SH Bold Boy 3/10 placed first and Samuel and DDM Joker’s Wild placed second. 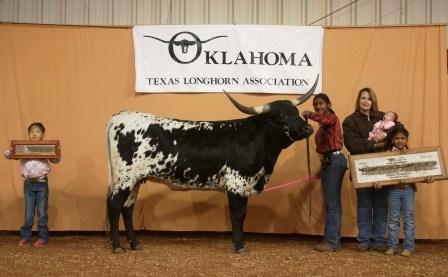 In class 28, LLL Jeddadiah placed first, shown by Naomi. In class 29, Andrew and Stone Ranger ECR placed second. Lydia and SH Bold Boy 3/10 went on to win Reserve Champion Steer. 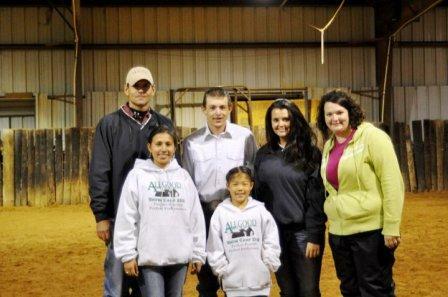 The kids had the privilege of attending a showmanship camp help by Randy Allgood and his daughter, Alexia. They learned a lot, got lots of critiquing and plenty of time in the show ring. It was the first time that they had this showmanship camp, but it was a success and we are hoping they will do it again in the future. At the end of the day, they had a true showmanship class and gave the kids a chance to compete and show off the skills they had learned that day. The kids were broke down into three groups. In the Junior/Intermediate age group, Rachel won. In the Teen group, Hannah won. Jacob won in the Senior group. It was a clean sweep! I’m so proud of those kiddos!!!! We drove home late that night and the following morning, Miriam Grace jumped in our bed with her “parts of the cow” paper and immediately asked Jay to quiz her. We were amazed that even in the midst of all the showing, she had learned every part of the cow and four compartments of a cow’s stomach. She’s a smart cookie, and very determined to win! Our show season has started off well, and we are very proud of our success in the show ring. At the Ark-La-Tex Show, we had a points only show on Friday night. Mr. David Wars was the judge. In class 4, Tabitha showed VNR Lucinda and placed first. Sarah showed Diamond Q Lexie and placed third. In class 5, Julia showed VNR Charlotte and placed first. In the same class, Tabitha showed VNR Bianca and placed second. Julia and VNR Charlotte went on to win Junior Champion Female and Tabitha and VNR Bianca won Reserve Junior Champion Female. In class 8, Abigail and VNR Platinum Edition placed second. In class 9, Sarah showed VNR Lil Bit Naughty placed first. 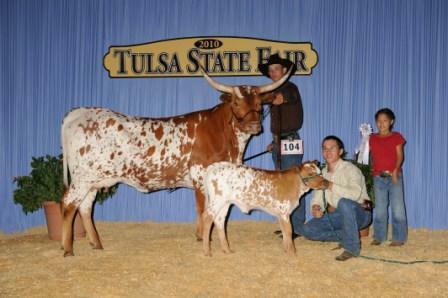 The class 19 bulls, Jacob showed Rough Rider 30 and placed first. 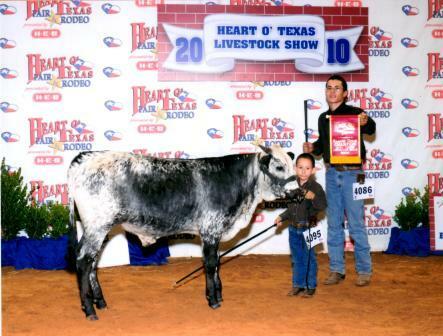 In class 20, Nathaniel placed first with Diamond Q Laredo. 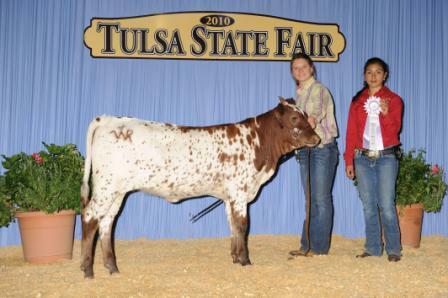 In class 21, Abigail placed first with DQ Paleface. 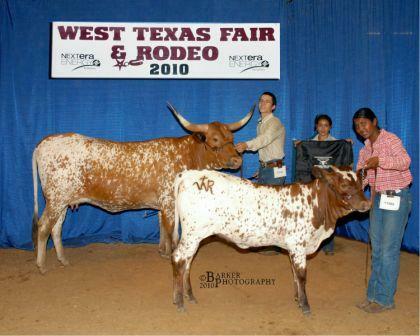 Abigail and DQ Paleface went on to win Grand Champion Bull, with Nathaniel and DQ Laredo winning Reserve Champion Bull. In class 26 steers, Nathaniel placed first with VNR Song’s New Rhythm. Samuel and DDM Joker’s Wild placed first in class 27. 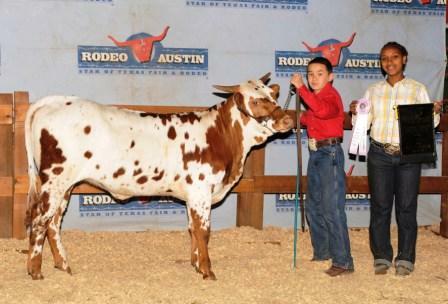 In class 28, Naomi placed first with LLL Jeddadiah, and he went on to win Reserve Grand Champion Steer. It was too cold and late to have showmanship classes, but the following morning they announced who the showmanship winners were. In the Junior Division, Miriam Grace placed first and Jonah placed second. In the Senior Division, Abigail placed first and Naomi placed third. While at the show, we stayed with Brent, Cindy, Ellie and Jace Bolen. As usual, we had a great time with them. We’ve learned that we can’t let all the kids enter the steer give away because we could end up with a trailer full of steers to take home and no way to do that, so we only let a couple of kids enter every other year or so. This year, we decided to let only the first two of our children’s whose name is drawn win…..later we changed that to three! Joseph won a steer donated by Dora Thompson. Miriam Grace won one donated by Paul and Cami Proctor. Rachel won one donated by Mr. and Mrs. Chancellor. 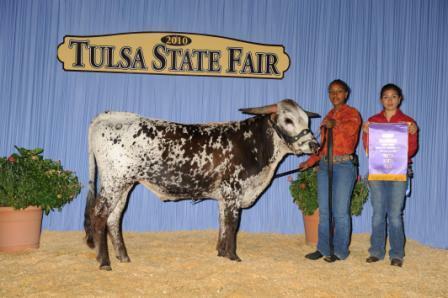 Mrs. Dora Thompson had also brought us a steer to show this year. Lydia will be working with him. It was quite a sight to see all the parents and kids and trying to halter their steers and drag them to their areas or into a small pen for the night. It was very entertaining! This was a wild and wooly group for the most part. We are looking forward to getting our steers fit in show condition and taking them in the ring. It was a beautiful group of steers. I can hardly wait to see how all the steers look when their new owners bring them back next year. Both Abigail and Naomi won a scholarship from Ark-La-Tex. They can use that help with their education when they graduate. During the steer drawings, we got a call from Jay saying that they (Jacob, Jay and Hannah) had an accident in College Station. The white Excursion was totaled. They had to get the wrecker to drive them home. They left early on Sunday morning to make it in time for the show. We are so glad that no one was hurt. For the Sunday Youth Show, Miss Julie Pack was the judge. We started off the morning with Hannah showing VNR Carmen and placing first in class 3. In class 4, VNR Jamakin Beauty placed second. 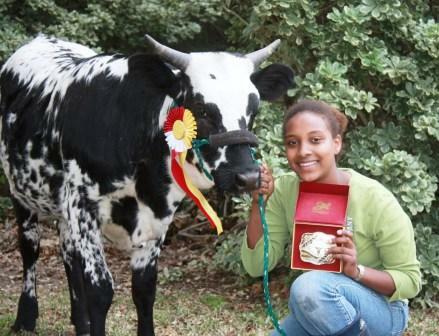 In class 5, Lydia placed first with Diamond Q Myrah, and went on to win Junior Champion Female. 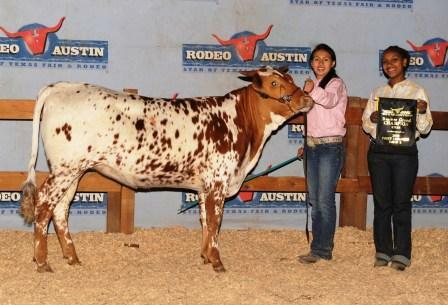 Hannah and VNR Carmen won Reserve Junior Champion Female. In class 8, Sarah placed second with Queen Maxine. In class 9, Lydia showed ECR Houston’s Solution and placed first. Sarah placed second with VNR Lil Bit Naughty. In class 10, Lydia showed VNR Feelin’ Spooky and placed second. In class 11, Andrew placed second with Diamond Q Perfecta. Lydia and Diamond Q Myrah won Reserve Grand Champion Female. 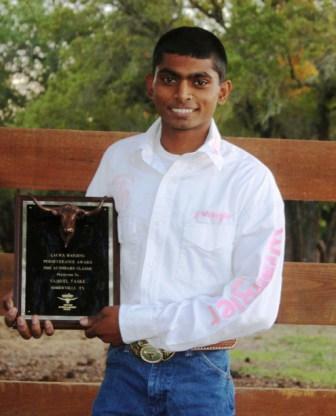 In class 19 bulls, Jacob and Rough Rider 30 placed first. 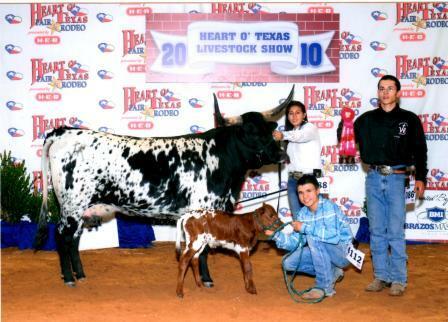 Nathaniel and DQ Laredo placed first with DQ Laredo. 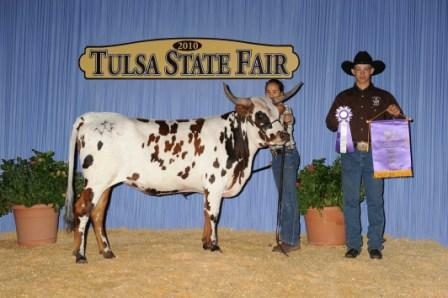 In class 21, Abigail and DQ Paleface won the class, and went on to win Grand Champion Bull. 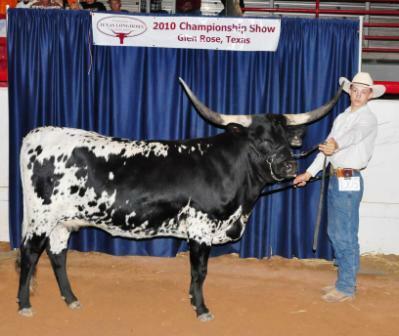 Nathaniel and DQ Laredo won Reserve Grand Champion Bull. In the steer class 26, Nathaniel and VNR Song’s New Rhythm won. Samuel and DDM Joker’s Wild placed first in class 27. Jonah and VNR Bluegrass placed second. In class 28, Naomi and LLL Jeddadiah placed first. In class 29, Julia and Wildcatter placed second. 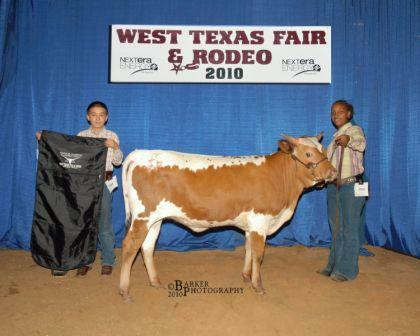 Samuel and DDM Joker’s Wild won Reserve Grand Champion Steer. In the Junior Division of showmanship, Miriam Grace placed second. In the Intermediate Division, Joseph placed third. Nathaniel placed second in the Teen Division. In the Senior Division, Jacob placed second and Samuel placed third. After we got the animals loaded up, Jay and I, along with Rachel and Gabriella headed over to the Bolen’s for a pasture tour and a little visiting time. We really enjoyed seeing all their beautiful Longhorns. It was a fun evening. 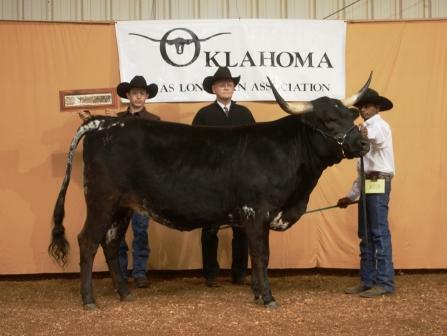 We had never competed in an ITLA show before, but Jacob was showing some cattle for some Bob Dube’s clients, so he thought he might take of few of our favorites and just see how they did in the ITLA circuit. They had not been qualified for their Championship Show, but there was an extra fee and Jacob was willing to pay it. He chose five animals to go to the show and he paid all the entry fees on his own. VNR Lil’ Bit Naughty placed first in her class, VNR Feelin’ Spooky placed second in her class, Nada Mirage placed first, Rough Rider 30 placed third, and ST Vaquero placed first. They really did well. Nada Mirage went on to win Senior Grand Champion Female and Grand Champion Female. It was quite a day! Jacob and Joshua hauled our show string to the State Fair of Texas and all the kids did a great job of working together to get their animals unloaded, cleaned up and ready to show the following morning. Then they headed to Danny and Carole Phillips house to get cleaned up before heading to the Horn Showcase banquet. The next morning, we got up and left the Phillips’ house before 7:00am so that we had plenty of time to get our calves cleaned up and in their show halters. The show at started 10:00am and at 9:20am, we were still sitting in traffic on top of an overpass, behind a major accident, only six miles from the fairgrounds. Thankfully, we had a GREAT group of friends who came to our rescue and pulled together to get our calves cleaned, brushed, haltered, fed and our area cleaned up before we arrived just 30 minutes before the show. THANK YOU to everyone who helped with this! We really appreciate your help. Had we not had such a great group of friends, we would not have been showing in the female classes this time. We started off with class 3 females, and “VNR Carmen” won her class again with Hannah showing her. She’s a nice little heifer! Class 4 was huge, with approximately 25 animals. For such a huge class, we did fairly well with “Diamond Q Lexie” placing third with Joshua showing her and “VNR Jamakin Beauty” placing fourth with Abigail showing her. In class 5, another huge class, “Diamond Q Myrah” placed second with Lydia showing her and “VNR Fancy That” placed third with Joseph showing her. In class 8, Abigail showed “VNR Platinum Edition” and placed second. Sarah showed “Queen Maxine” and placed third in same class. In class 9, we did really well again for another huge class, but we couldn’t seem to place first for anything. Naomi showed “VNR Starlit Bayou” and placed second. “VNR Dynamic Uno,” shown by Julia placed third. “SSR Sterling Silver” placed fourth, shown by Joshua. 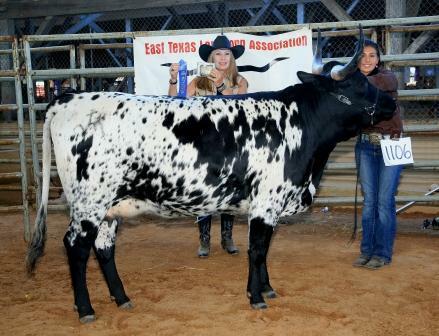 “ECR Houston’s Colada” was shown by Lydia and placed fifth. We had a heifer in 2nd, 3rd, 4th, and 5th in the same class! In class 10, we finally won a class. “VNR Feelin’ Spooky shown by Lydia won. In class 19, “Rough Rider 30” won his class. He was shown by Jacob. 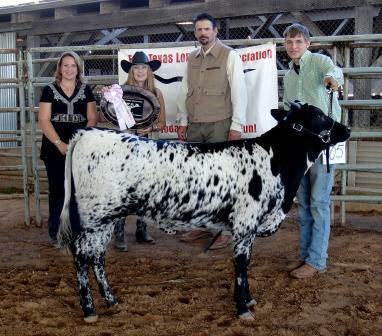 “Diamond Q Paleface” won class 21 while shown by Abigail. He went on to win Reserve Champion Bull. Samuel showed “DDM Joker’s Wild” in class 27, and placed second in his class. Sarah showing “TTT Peterbilt” placed third. In class 28, “LLL Jeddadiah” won shown by Naomi. The judge, Justin Hansard, really challenged the kids in showmanship. In the Junior division, Miriam Grace placed first and Jonah placed third. In the Intermediate division, Rachel placed third. For such a young tiny girl, she does an excellent job of showing, especially with the physical challenges she faces. In the Teen division, Sarah placed first, and Nathaniel placed third. In the Senior division, Jacob placed first. The kids did great in showmanship. On our way home, we had a horrible accident, but we have a lot to be thankful for. Joshua was driving his truck with Andrew and Nathaniel riding with him. He was pulling the 32 foot steel trailer with all the younger calves. As they were approaching Somerville, Joshua felt the truck swerve to one side. There was no way for Joshua to control the truck because the ball joint broke, sending them slamming into a guard rail, through a steep ditch and through a fence. When they came to a stop, part of the trailer was sitting on top of the cab of the truck. The cab was crushed where Nathaniel was sitting, but the force of the impact had thrown him so far forward that it saved his life. They grazed a telephone pole removing a portion of it and knocking it crooked. Both axials of the truck broke, the drive shaft stuck into the ground. The truck was definitely totaled. It was miraculous that all three of the boys were able to walk away from the accident. As we unloaded the cattle on the side of the road, all of them were fine, with only some minor limping and a couple of damaged horns. The DPS officers said it was a mechanical malfunction of the truck, and that the boys were lucky to be alive. Of course we know that was purely the grace of God! When the challenges of life come our way, sometimes it as if God just grabs us by the shoulders and makes us realize what's really important in life. We had never competed in the Horn Showcase before, but Brent and Cindy Bolen encouraged us to give it a try this year. We only took one cow because we didn’t think we’d have trailer space being that we had a large group of calves showing at the State Fair of Texas that same weekend. 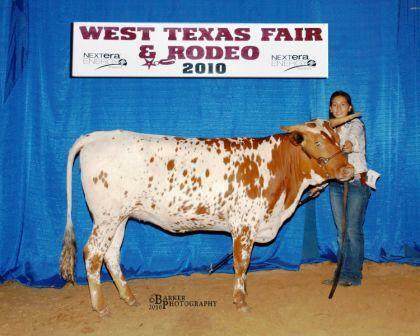 The cow we chose to take was a two year old named “Rosa Leigh.” She is a ZD Kelly daughter that we are really proud of. In her total horn class, she placed second. She had 74 ½ inches of total horn. In her tip-to-tip and composite classes, she placed third. We didn’t get to take home a bronze, but it was really neat to get to visit with other breeders who share the same love for this unique and interesting breed of cattle. This was our first time to go to the Heart of Texas Show. It was really fun and we had a good time there. In class 3, Hannah won 1st place with “VNR Carmen.” Following in second place was Nathaniel showing “VNR Jamakin Jewel.” In the following class, Abigail showed “VNR Jamakin Beauty.” She placed 2nd in her class. Lydia showed “Diamond Q Myrah” in class 5, and placed 2nd with her. In class 8, Sarah showed “Queen Maxine” and won her class. Sarah, showing “VNR Lil Bit Naughty,” won 1st in her class. Followed by, “VNR Dynamic Uno” in 2nd shown by Julia. In class 10, Lydia showed “VNR Feelin’ Spooky” and won 1st place. “Diamond Q Mariah,” shown by Sarah placed 2nd in her class. In the following class, Andrew showed “Diamond Q Perfecta,” and won his class. In 2nd place was, “VNR Mariana,” shown by Hannah. For the Senior Champion drive, “Diamond Q Perfecta” won Senior Champion Female and “VNR Mariana” won Reserve Senior Champion Female. “Diamond Q Perfecta” won Grand Champion Female overall. In bull class 19, “Rough R ider 30,” shown by Jacob won his class. In the following class, Jacob showed “DQ Laredo” and placed 2nd with him. 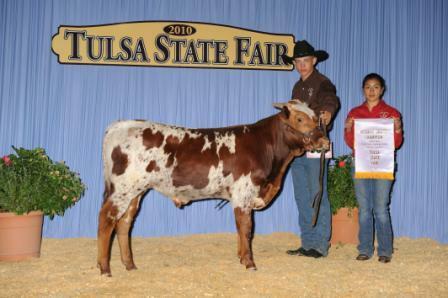 In class 21, “DQ Paleface,” shown by Abigail, placed 1st. He went on to win Grand Champion Bull. In Junior showmanship, Jonah placed 1st and Miriam Grace placed 2nd. Following the Junior showmanship, Olivia won Intermediate showmanship and Rachel placed 2nd. Sarah placed 2nd in Teen Showmanship and Lydia followed her in 3rd place. In the Senior division of showmanship, Julia won with 1st place, Abigail placed 2nd, and Hannah placed 3rd. It was our fourth year to attend the East Texas State Fair. We had a lot of fun and did really well throughout the show. The judge was Mr. Randy Allgood from Bowie, Texas. We started out in the 4th class with Joshua showing “Diamond Q Lexie” and winning her class. She went on to win Junior Champion Female. In class 9, Julia placed 1st showing “VNR Dynamic Uno,” and Naomi placed 2nd showing “VNR Starlit Bayou.” In class 10, “VNR Feelin’ Spooky” placed 2nd and was shown by Lydia. Hannah showed “VNR Mariana” in class 11. She placed 2nd in her class. “VNR Mariana’’ also won Senior Reserve Champion Heifer. “Diamond Q Lexie” won Reserve Champion Heifer overall. In class 19 bulls, “Rough Rider 30” shown by Jacob, placed 2nd in his class. 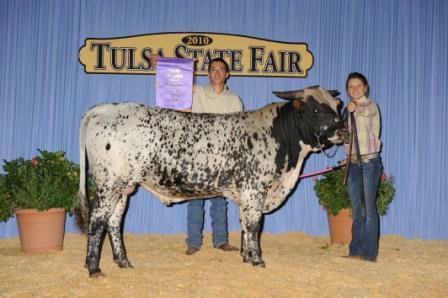 Abigail, showing “DQ Paleface” won 1st in her class and went on to win Reserve Grand Champion Bull. In steer class 26, Lydia showed “DDM Jokers Wild” and placed 1st in his class. Naomi, showing “LLL Jeddadiah,” placed 1st in class 28. In Junior Showmanship, Miriam Grace placed 1st. Rachel placed 2nd in Intermediate showmanship. Sarah placed 2nd in the Teen division. In Senior Showmanship, Hannah placed 1st, Abigail placed 2nd, and Julia placed 3rd. They had a clean sweep for Senior Showmanship. They were pretty excited about that! We had another great show at the Tulsa State Fair. We really enjoy coming to this show to visit our friends in Oklahoma. It’s a fun show to go to. We started off the show with Abigail winning first in class 4 with “VNR Jamakin Beauty,” “Diamond Q Lexie” placed second with Andrew showing her in the same class. In class 5, Hannah won the class with “Diamond Q Wathina” and second place was Julia showing “VNR Charlotte.” In addition to this “Diamond Q Wathina” won Junior Champion Heifer and “VNR Jamakin Beauty” won Reserve Junior Champion Heifer. In class 8, Sarah showed “Queen Maxine” and won. Following her was “VNR Platinum Edition” placing second with Abigail showing her. 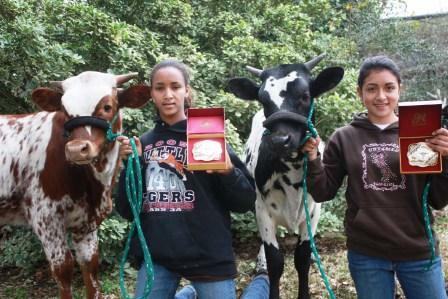 In class 9, Naomi won the class with “VNR Starlit Bayou,” and Julia placed second with “VNR Dynamic Uno.” In class 10, Lydia won the class with “ VNR Feelin’ Spooky,” “Diamond Q Da nisha” shown by Naomi placed second. In class 11, Andrew showed “Diamond Q Perfecta” and won her class. 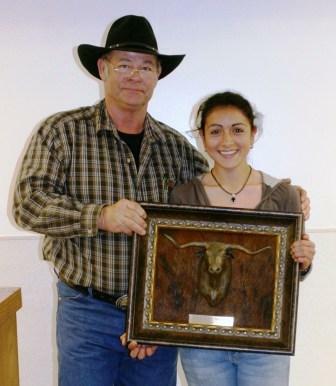 Hannah showing “VNR Mariana” placed second. Following that “VNR Feelin’ Spooky” won Senior Champion Female followed by “VNR Sonita” in Reserve Senior Champion Female. “VNR Feelin Spooky” won Grand Champion Female overall and “Diamond Q Wathina” won Reserve Champion Female overall. In the steer class 27, Lydia placed first with “DDM Joker’s Wild,” and Jonah placed second with “VNR Bluegrass.” In class 28, “LLL Jeddadiah” shown by Naomi won the class. Following that Naomi won first in her class showing “Wildcatter ECR” and “Diamond Q Nitro” placed second shown by Julia. 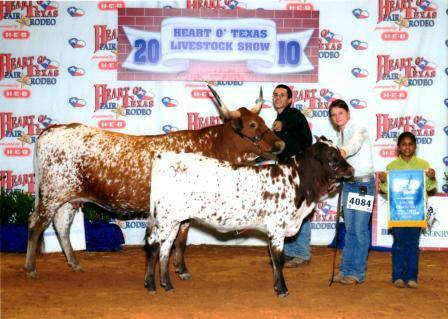 “Wildcatter ECR” won Grand Champion Steer and “Diamond Q Nitro” won Reserve Champion Steer. In Junior Showmanship, Miri am Grace won first and Jonah placed second. In Intermediate Showmanship, Joseph placed first, Rachel placed second, and Olivia placed third. In the Teen division of showmanship, Lydia placed first, followed by Sarah who placed second. Julia won first in Senior Showmanship. Hannah placed second and Andrew placed third. It was our first time to attend the Abilene Show. 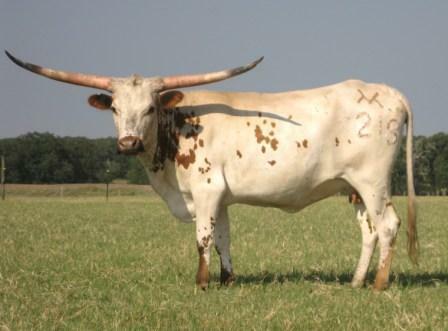 There’s a great group of folks in the West Texas Longhorn Association. They put a lot of effort in to making their show a success. Hannah and Julia took Gabriella in for Pee-Wee Showmanship. She even carried the show stick by herself. It's amazing how much she loves cows already, and she's not even six months old yet! We kicked off class 4 with Abigail placing first with “VNR Jamakin Beauty.” It was her first time to show while not at her mother’s side. She has a terrible birth date, so it was great to see that she can compete and do well even with calves that are as much as two months older than she is. To our surprise, Julia took class 5 with “VNR Charlotte.” In that same class, “Diamond Q Myrah” placed second. It was all our heifers who competed for Junior Champion. That doesn’t happen ver y often! “VNR Charlotte” went on to get Junior Champion Female and “Diamond Q Myrah” got Reserve Champion Female. Nathaniel placed second with “VNR Felina” in class 8. In class 9, “Diamond Q Jolene” won her class with Hannah exhibiting her. Joshua placed second in the same class with “SSR Sterling Silver.” Sarah took class 10 with “Diamond Q Mariah.” In class 11, “Diamond Q Perfecta” placed second with Andrew exhibiting her. She went on to winning Reserve Senior Champion Female, as well as Reserve Grand Champion Female. In the steer classes, “VNR Bluegrass” made his debut with Jonah exhibiting him, and won class 27. Olivia showed her new little steer, “VNR Cinch” in the same class and placed second. Naomi showed “LLL Jeddadiah” in class 28 and won. In Junior Showmanship, Miriam Grace placed first and Jonah placed second. In Intermediate Showmanship, Joseph placed second and Rachel placed third. In Teen Showmanship, Nathaniel placed first and Lydia placed second. In Senior Showmanship, Julia placed first and Andrew placed third. 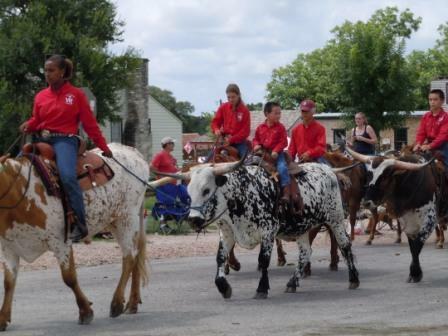 We celebrated another great Fourth of July with riding in the parade in Round Top. A few years ago, Bobby Dube invited us to ride with him in the parade, and we’ve been doing so ever since. 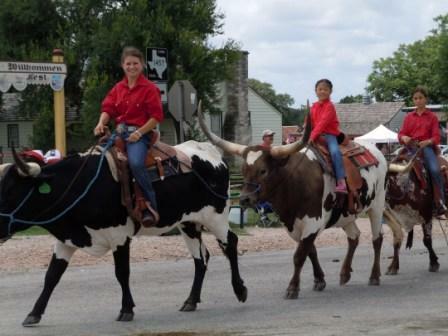 This year, our Longhorn steer riders were Andrew riding Dark Chocolate BCB, Abigail riding Brazos Rose Concho, Jacob riding Rev Lee, Julia riding VNR Proud Patriot, Hannah riding Hang Em High BCB, Sarah riding Trails End Spotted Champ, Nathaniel riding SH Unforgiven, Tabith a riding JPact Lee, Lydia riding Totsy Turby CSF, Joseph riding Music Man CP, Rachel riding VNR Battle Song, and Jonah riding VNR See My Buckle. Natalie Steele also rode with us. She rode VNR Mi Amigo. Bobby Dube rode Buckaroo. This will be his last year to be ridden in the parade. His age is starting to show. The kids said they could hear his bones creaking as he walked with him. We will really miss Buckaroo next year. In addition to the steers, we had some riders on horseback as well. Jay and Miriam Grace rode “Ace.” Naomi and Olivia rode “Dixie.” Joshua rode “Ruby” and Samuel rode “Cheyenne.” We had a great time in the parade and followed it up with a really good lunch at the house. We look forward to next year! It is always neat to see how much the steers have grown from one year to the next. Several of our children decided to run for officer and director positions in the TLBT again this year. The new 2010-2011 TLBT Board of Directors will be Jacob Faske (President), Braden Tanner (Vice-President), Abigail Faske (Secretary), Samuel Faske (Treasurer), Sarah Faske (Reporter), Tarah Moore (Parliamentarian), Hannah Faske and Will Babler (Senior Directors), Lydia Faske and Natalie Steele (Teen Directors), Shelby Rooker and Rachel Faske (Intermediate Directors), Miriam Grace Faske and Lexington Harris (Junior Directors). It was another FABULOUS WORLD SHOW! It was a busy few weeks leading up to it, but all the work was certainly worth it. Andrew showed Diamond Q Perfecta and won her class. He also showed VNR Little Romeo who placed 3rd in his class. Andrew showed Diamond Q Tanita and placed 2nd. Naomi showed VNR Starlit Bayou and won her class. She also showed LLL Jeddadiah and won his class. Naomi showed Diamond Q Sandi Rae for the Quary’s and placed 4th. Abigail showed Cowgirl Up and placed 3rd, Diamond Q Paleface and placed 2nd, and DQ Riker and placed 4th. Jacob showed VNR Sonita and placed 2nd, Diamond Q Texoma and placed 4th, and Diamond Q Feanna and placed 4th. Joshua placed 3rd with VNR Scrub A Dub and 4th with VNR Freedom Call. Julia showed VNR Dynamic Uno and won her class, V Bar Viper’s Babe and placed 5th, and Diamond Q Nitro and placed 3rd. Hanna placed 2nd with Diamond Q Jolene and 3rd with VNR Mariana. Sarah placed 4th with VNR Lil’ Bit Naughty, and 3rd with DQ Tandem. Tabitha placed 5th with VNR Sheza Lady. Lydia placed 3rd with VNR Feelin’ Spooky, 5th with DQ Burlap, and 1st with VNR Snip It. Rachel won 3rd place with VNR Gentle Gus. Miriam Grace won 5th place with VNR Jitterbug. We kicked off the day with Naomi showing “VNR Starlit Bayou” and winning class 2, and Sarah and “VNR Lil’ Bit Naughty” following her lead. Julia won class 3 showing “VNR Dynamic Uno,” who also went on to win Junior Champion Female. Julia continues her winning streak with “Uno.” In Class 8, Jacob won with “VNR Sonita.” In class 9, Joshua won with “VNR Scrub a Dub,” followed by Andrew placing second with “Diamond Q Perfecta.” In the female championship class, “VNR Sonita” won Reserve Senior Champion Female and “VNR Dynamic Uno” won Reserve Grand Champion Female. Showmanship was fun as usual. In the Junior Division, Miriam Grace placed first, Jonah placed second and Rachel placed third….a clean sweep! Joseph placed third in the Intermediate Division of showmanship. Samuel placed first in the Teen Division. In Seniors, Abigail placed first and Naomi placed second. It was another great day of showing. There hasn’t been very many shows we headed to this year without having a flat tire along the way, and Rockdale was no exception! When we finally arrived, we got the cattle cleaned up and prepared for the show that evening. We kicked off the female classes with Naomi winning class 2 with VNR Starlit Bayou, Lydia winning class 4 with VNR Feelin’ Spooky, Jacob winning class 8 with VNR Sonita, Julia winning class 10 with V-Bar Viper’s Babe, and Joshua winning class 11 with OL Prissy. During the championships, Lydia won Reserve Junior Champion Female with VNR Feelin’ Spooky and Joshua won Senior Champion Female and Grand Champion Female with OL Prissy. During the bull classes, Andrew won class 17 with VNR Little Romeo. Our new little steer, VNR Snip-It, won class 24 and brought Lydia back to the winners circle again. Naomi showed LLL Jeddadiah and won class 25. He’s turning out to be quite an eye catcher! Lydia showed VNR Mi Amigo in class 29 and won. 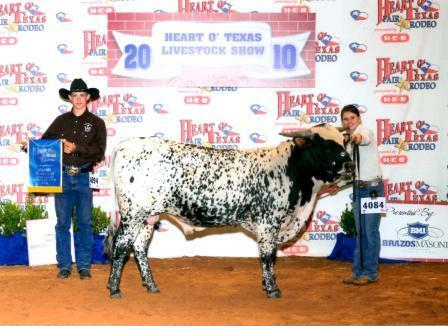 He came back for the championship and won Grand Champion Steer. Lydia had quite a day! 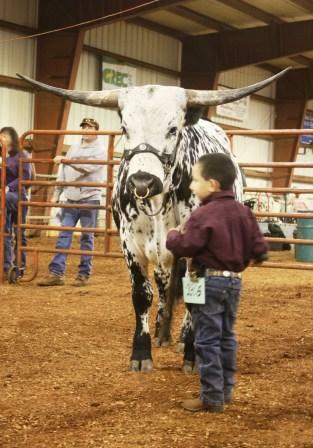 Showmanship is what our kids enjoy the most. In Junior Showmanship, Miriam Grace placed first, Rachel placed second, and Jonah placed third. In Teen Showmanship, Hannah placed second and Lydia placed third. In Senior Showmanship, Abigail placed first and Joshua placed third. The show ended at close to 11:30 pm. We cleaned up a little and headed to our hotel for a few hours sleep before getting up to head to the Lazy L Sale. What a fun show!!!! 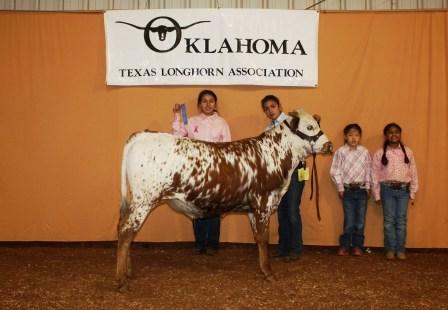 We loved the Stillwater Shoot-Out and met so many fantastic Longhorn breeders. We are planning to m ake this show a part of our show schedule each year. We participated in two youth shows and one non-haltered show at Stillwater. 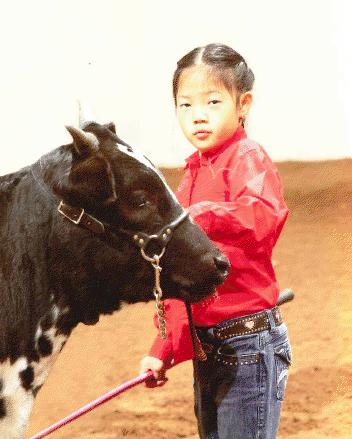 At Youth Show A, we started with showmanship first. In Junior Showmanship, Rachel won 1st, Jonah won 2nd, and Miriam Grace won 3rd. In Intermediate Showmanship, Joseph won 1st. In Teen Showmanship, Samuel won 1st, Hannah won 2nd, and Julia won 3rd. In Senior Showmanship, Abigail won 1st. Naomi won class 2 with “VNR Starlit Bayou.” Hannah won class 3 with “Diamond Q Danisha” (owned by Steve and Bodie Quary). Abigail won class 8 with “Cowgirl Up 128.” Andrew won class 9 with “Diamond Q Perfecta.” Samuel won Reserve Champion Senior Female and Reserve Champion Female with “VNR Ready or Not.” Abigail won class 16 with “Diamond Q Paleface,” (owned by Steve and Bodie Quary). Joshua won class 21 with “VNR Freedom Call.” Sarah won Reserve Champion Bull with “Diamond Q Tandem” (owned by Steve and Bodie Quary). Naomi won class 25 with “LLL Jeddadiah.” Jonah won class 29 with “VNR See My Buckle,” and went on to win Grand Champion Steer. When we saw how awesome the prizes were, we decided to enter three of our favorite females in the non-haltered division. “Diamond Q Perfect” won class 9. “Nada Mirage” won class 11, and went on to win Senior Champion Female as well as Grand Champion. We are so proud of that girl!!! At Youth Show B, we kicked off the morning with another round of showmanship. Miriam Grace placed 1st, Rachel placed 2nd and Jonah placed 3rd in Junior Showmanship. Julia placed 1st, Samuel placed 2nd and Sarah placed 3rd. In Senior Showmanship, Abigail was 1st, Jacob was 2nd, and Naomi was 3rd. Naomi won class 2 with “VNR Starlit Bayou.” Julia won class 3 with “VNR Dynamic Uno.” Jacob won class 8 with “VNR Sonita.” Andrew won class 9 with “VNR Perfecta.” Samuel won class 10 w ith “VNR Ready or Not,” who went to win Senior Champion Female and Grand Champion Female. Abigail won class 16 with “Diamond Q Paleface,” (owned by Steve and Bodie Quary). 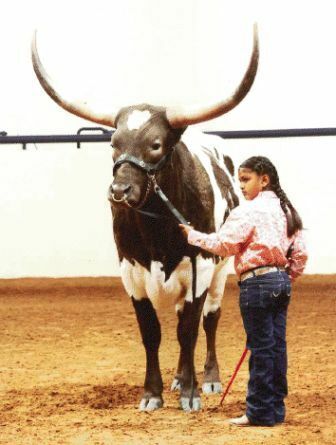 Phoebe won class 17 with “VNR Little Romeo.” Sarah won class 19 with “Diamond Q Tandem,” (owned by Steve and Bodie Quary), and went on to win Grand Champion Bull. Joshua won class 21 with “VNR Freedom Call.” Naomi won class 25 with “LLL Jeddadiah.” Julia won class 27 with “Diamond Q Nitro,” (owned by Mr. and Mrs. Michael Fowler). It was a great show and we look forward to returning to Stillwater next year. On our way home, we dropped “VNR Freedom Call” off at his new home with Larry and Paula Reck of The Lone Star Ranch. We will really miss that boy, but we are glad he has a good home. 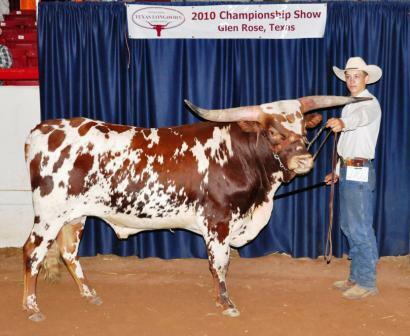 We will get to see him again in June, when the Reck’s bring him to the 2010 World Show for Joshua to show again. We had heard about the “Bill Ellis Award” for the past few years, but had never made it to Stillwater, Oklahoma to participate. This year, we had four girls compete to try to win this outstanding award. Naomi, Abigail, Sarah and Miriam Grace each worked with mom to complete a scrapbook of their interests and accomplishments. The award is judged on courtesy, compassion, and respect for adults and peers. The scrapbook is submitted to give the judges an opportunity to learn more about each of the youth. This year, Naomi won the “Bill Ellis Award.” It could not have went to a more courteous, compassionate or respectful young lady. Naomi is always willing to help others out without anyone even having to ask for help. She has a heart of compassion and feels for others. Naomi’s quiet nature makes some people overlook her, but this time she was rewarded with a great honor. We are very proud of her. 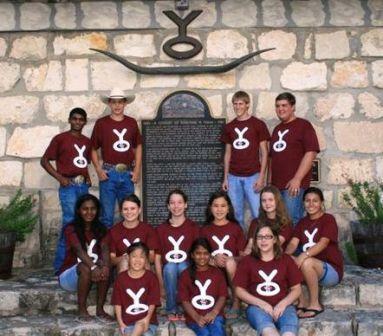 While showing in Oklahoma, we’ve fallen in love with many incredible people from Oklahoma, but I have to say that it never crossed my mind that our kids would be elected to serve on the Oklahoma Texas Longhorn Association’s Youth Board of Directors. The 2010-2011 OTLA Youth Board will be Emily Thurmond as President, Joshua Faske as Vice-President, Samuel Faske as Treasurer, Sarah Faske as Reporter, Jacob Faske as Parliamentarian, Naomi Faske as Senior Director, Keenan Wilson as Teen Director, Rachel Faske as Intermediate Director and Jonah Faske as Junior Director. The kids are excited about their new positions and look forward to working with the neat people involved in the OTLA. This was our first time to visit the Star of Texas Fair and Rodeo, and I have to say that it was one of the most enjoyable fairs we’ve visited. The staff and volunteers were wonderful. The only complaint we had was the weather…….it was soooooooo COLD. We managed the weather by cutting our days short and heading to the hotel as soon as we finished showing each day. At Star of Texas, we participated in two youth shows. At Show A, Hannah won class 3 with “Diamond Q Jolene” and went on to win Junior Champion Female. Joseph followed her up with winning Junior Reserve Champion Female with “Diamond Q Adeline.” Lydia won class 4 with “VNR Feelin’ Spooky.” Samuel won class 5 wit h “Diamond Q Zaida.” Andrew won class 9 with “Diamond Q Perfecta.” Joshua won class 21 with “VNR Freedom Call” and went on to win Grand Champion Bull. Rachel won class 25 with “VNR Gentle Gus.” Hannah and “Hang Em High” went on to win Reserve Champion Steer to finish the day. Our Junior Showmanship winners were Miriam Grace 1st, Rachel 2nd, and Jonah 3rd. The only teen to place in Teen Showmanship was Julia in 3rd. In Senior Showmanship, Jacob placed 2nd. At Show B, Naomi won class 2 and went on to win Junior Champion Female with “VNR Starlit Bayou.” Tabitha won class 5 with “VNR Lucy Lou.” Abigail won class 8 with “Cowgirl Up 128.” Samuel won class 10 with “VNR Ready or Not” who went on to win Grand Champion Female. Joshua won class 21 with “VNR Freedom Call.” Rachel won class 25 with “VNR Gentle Gus.” Miriam Grace won class 26 with “VNR Song’s Remix.” Hannah won Reserve Champion Steer with “Hang Em High BCB.” In Junior Showmanship, Miriam won 1st, Rachel won 2nd, and Jonah won 3rd. In Teen Showmanship, Samuel won 1st. After the show was over, we headed home to our warm, cozy house to prepare for next week’s trip to Oklahoma. We usually never go to shows on back to back weekends, but this time we are showing three weekends in a row. Well, we survived another Houston Livestock Show! Houston is one of the closest shows to home for us, and there’s something that always seems kind of special about showing at Houston, but it’s also usually the most difficult show for us too. The problems usually start at check-in and don’t stop until we are on our way home. This year was no exception, but if we could erase all the major confusion, grouchy staff, record breaking crowds, overstuffed egos and lack of organization, I would have to say that we had a good time. We had to scratch a couple of our heifers because they couldn’t find them in their computer, and it just wasn’t worth the fight. 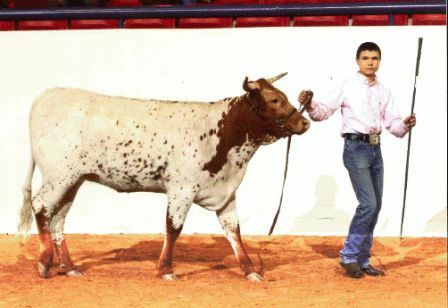 We had a mess with a couple of bull classes that Houston refused to separate to abide by the TLBAA bylaws, so the points system was a bit complicated. Thankfully we had a judge, Carla Jo Payne, that understands how the TLBT and showing Texas Longhorns is supposed to work. Naomi won Class 2 with “VNR Starlit Bayou.” Julia won Class 3 with “VNR Dynamic Uno,” and went on to win Junior Champion Female. Jacob won Class 8 with “VNR Sonita.” Andrew won Class 9 with “Diamond Q Perfecta.” Abigail won Class 25 with “VNR Gentle Gus.” Jacob won Class 19 with “Diamond Q Texoma.” In Junior Showmanship, Miriam Grace won 1st, Rachel won 2nd, and Jonah won 3rd. In Intermediate Showmanship, Joseph won 1st. In Senior Showmanship, Jacob won 3rd. It was Gabriella’s first outing and she did so well, especially for only being 2 ½ weeks old. She did perfect, and it was fun getting to introduce our Longhorn friends to newest member of our family. Wow! How do you top what the kids’ experienced in the last two days? The Bulls are always an area that we struggle somewhat to compete it. It’s tough competition! The big news in the bull division was that Jay’s favorite bull, Diamond Q Texoma, won his class and then went on to win Reserve Grand Champion Bull! That’s the first time we’ve ever won an Autobahn Championship in the bull show. Second place bull winners included: Sarah with DQ Tandem and Joshua with VNR Freedom Call. Phoebe won fifth place with VNR Little Romeo. During the break between bulls and steers, they announced the winners of the Speech Contest. Sarah won first in the Teen Division, Rachel won 2nd place, and Miriam Grace won 4th place in the Junior Division. All the kids worked hard on their speeches and it’s always amazing to see how much improvem ent there is each time they participate in this competition. The steer show was exciting too. The judge seemed to be looking for something a little different than we were used to, so it was a shaky start. First place winners included: Rachel with VNR Belated, Jonah with VNR See My Buckle, Hannah with Hang Em High BCB, and Miriam Grace with VNR Battle Song. Rachel went on to win Reserve Junior Champion Steer with VNR Belated! Hannah went on to win Reserve Champion Senior Steer with Hang Em High BCB! Miriam Grace went to win Grand Champion Senior Steer and Grand Champion Overall Steer with VNR Battle Song! They were all sooooooo proud! J Other winners in the steer classes included: Miriam Grace placing 4th with VNR Song’s Remix and 5th with VNR Jitterbug. A BIG, BIG, BIG “Thank You” to John and Diann Chase for giving these kids this wonderful opportunity for scholarships to further their educations. Of our 16 children who showed, all 16 received a scholarship at the Autobahn Classic. The lessons learned in the show ring and beyond are priceless too! We greatly appreciate the Chase’s dedication to this program. It has truly impacted our children’s lives in ways that reach far beyond scholarships. This was our best Autobahn Show ever! The kids brought home the buckles and lots of scholarship money!!! In the female classes, Lydia took 1st with VNR Feelin’ Spooky, Sarah placed 1st with VNR Lil’ Bit Naughty, Hannah placed 1st with Diamond Q Jolene, Samuel placed 1st with VNR Ready or Not, Julia placed 1st with VNR Dynamic Uno, and Abigail placed 1st with VNR Diamond in the Rough. That’s seven buckles won in just the Female Classes!!!!! J For several of the kids, this was their first time to win an Autobahn buckle! Second place winners included: Naomi with VNR Starlit Bayou, Naomi with Diamond Q Sandi Rae, and Phoebe with Cowgirl Up 128. Third place winners included: Joseph with Diamond Q Adeline, Jacob with VNR Sonita, Tabitha with VNR Lucy Lou, Nathaniel with Diamond Q Trinket, Samuel with Diamond Q Dorthea, Joshua with VNR Sheza Lady, and Abigail with HD Antares. Fourth place winners included: Sarah with Diamond Q Mariah, Sarah with VNR Nada Mirage, Joshua with SSR Sterling Silver, Hannah with Diamond Q Danesha, Julia with Black Ice 118, Joshua with V-Bar Viper’s Babe, and Naomi with Diamond Q Perfecta. Fifth place winners included: Phoebe with OL Prissy, Naomi with Bayou Wind, and Joshua with VNR Scrub A Dub. Scholarships were given to first through fifth places in each class. It was an exciting day for our family! When the Females show was over, the Team Penning Competition began! Samuel, Julia and Joshua were all on teams who won had the shortest times and won a scholarship. Then came the Roping Competition. Several of our kids had been practicing for this for months. To our surprise, Miriam Grace won the Junior Girls Division, Joshua won the Senior Boys Division, and Abigail won the Senior Girls Division. Each of the Roping Competition winners were given a rope of their own! It was really hard for me (Suzanne) to watch my husband and 18 children leave for the show without me. I’ve never really stayed alone, and taking care of my family is my life, but I had to stay home because our new baby is due anytime now. Jay kept me up to date on all the happenings of the Friday Show at the Autobahn Classic. We are so proud of the kids. 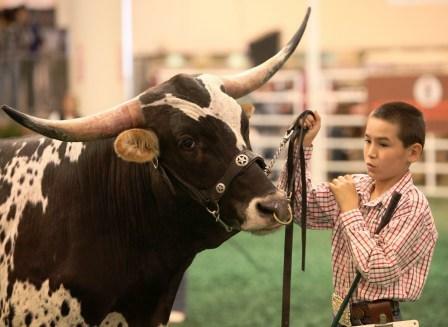 If you know our kids, you know how serious they take showmanship! Because our family is so large, we can’t haul a large number of cattle for each kid to show, and the kids realize that showmanship is their chance to shine. Today was no exception. Twelve of our sixteen children who participated in showmanship won a scholarship, and six of them won first place buckles! The show was kicked off with Junior Showmanship. Miriam Grace won first and Rachel won second. Jonah placed 4th in Junior Showmanship. Next was Intermediate Showmanship, and this year Joseph is our only child in the Intermediate division. He won first in his class. Both heats of the Teen and Senior divisions were huge. In the Teen Division A, Samuel won first and Sarah won third. In the Teen Division B, Hannah placed first, Julia placed third and Lydia placed fourth. In the Senior Showmanship A, Abigail placed first and Jacob placed fourth. In Senior Showmanship B, Phoebe placed first and Naomi placed second. We are so proud of how well the kids are doing in showmanship. They have learned some great skills. The afternoon was filled with speeches from 57 kids. The competition was tough. Sixteen of our kids participated in the speech contest, but they don’t announce the winners until Sunday. The excitement of a good day at an Autobahn show cannot be topped by much, but today was truly a day that will stand out for years to come. In addition to the success the kids saw in showmanship, Samuel received an even bigger surprise! He was the recipient of the “Laura Harding Perseverance Scholarship,” which is a $2500 scholarship given to a youth who exemplifies the meaning of the Perseverance Award. This is the first time that any of our children have ever won this award. It is a great honor that is only given to four youth each year. The Fort Worth Stock Show was a lot of fun and it was so nice to get to visit with friends that we haven’t seen in a while. The kids had a great show! 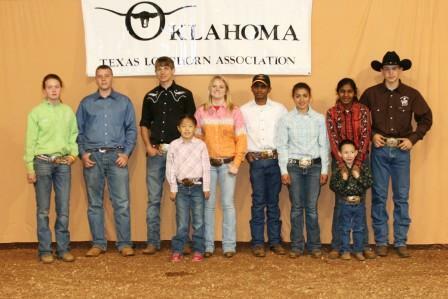 They walked away with seven buckles from the TLBT Youth Show!!! That’s pretty exciting being that the classes were huge. Naomi won class 2 with VNR Starlit Bayou. Julia won class 3 with VNR Dynamic Uno and went on to win Reserve Junior Champion Female. Joshua showed a heifer for Mitchell Dale and won class 5 and later went on to win Grand Champion Junior Female and Reserve Champion Female. Jacob won class 8 with VNR Sonita. Phoebe won class 17 with VNR Little Romeo. Sarah showed a bull for Steve and Bodie Quary and won class 19. 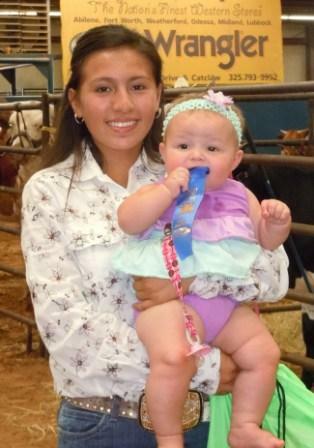 Miriam Grace topped off the day by winning a buckle for first place in Junior Showmanship. Joseph won second place in the Intermediate division of showmanship. In the teen division, Julia won second place and Nathaniel won third place. Naomi won second and Jacob placed third in the senior showmanship class. It was a big day with lots of excitement. We are so thankful to the Quary’s, Vizza’s and Dale’s for giving our children the opportunity to show cattle for them. It truly is a privilege these kids will never forget.